Memory & T-Shirt quilts, pillows, & bears are a pleasure to create & in doing so give joy back to someone who may be suffering a loss, or needs to find a home for those never ending t-shirt piles. Custom Quilting — specifically designed to match your quilt. Please review the section titled Preparing Your Quilt below for advice on getting your quilt ready for long arming. Includes Double Fold Bias Binding for all size quilts. I make the binding, all you have to do is provide the fabric. I have some of the best batting for sale so you don’t have to worry about providing it. Before you bring your quilt in to be quilted on a longarm, it is important that you prepare it in the following manner. 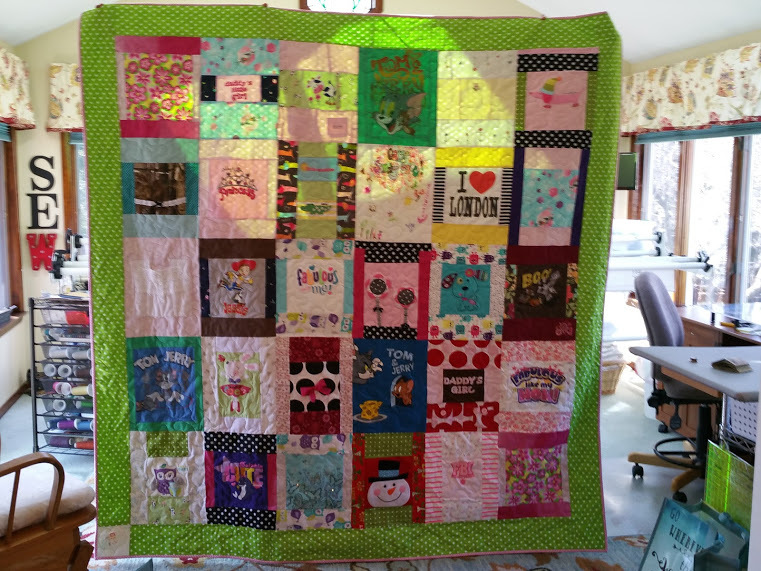 This will insure a smooth quilting process and a beautiful finished product. 1) Press your quilt top and backing well! 3) Batting needs to be at least 8″ wider and 12″ longer than the quilt top. 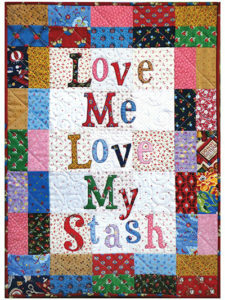 If you piece your quilt top please do it carefully to that it does not stretch apart when on the frame. (Warm & Natural Batting is available). Battings I will accept: Cotton, Cotton/ Poly blends, Wool, and Theromore. Please no fluffy polyester batting! 4) Binding: if you would like me to add the binding please bring sufficient amount of fabric (determined at consult) when quilt is dropped off. 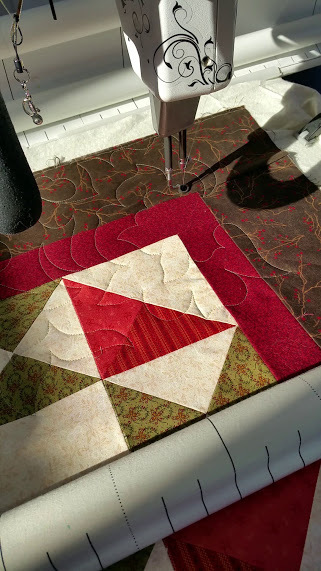 5) Custom Pantograph service: Some quilts may require a design than compliments the fabric in a special way. Finding these designs is one of my passions, these designs are $15 extra but the make the extra special touch on the quilt! 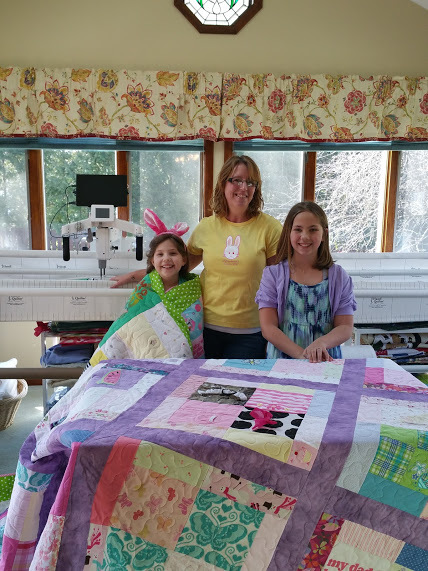 Let’s take a look and see what can be done on your quilt! Fabric is more than just clothing; it evokes memories of the loved one who wore it. It smells of them, it feels of them and we remember when they wore it. Why do we save all those baby clothes? It is so hard to part with the clothes. However you do not have to part with all of them! Turn them into a lasting memory. A pillow, lap throw, bed quilt, or even a Teddy Bear. Every time you look at these clothes you will remember all the times with this loved one. From T Shirts to Doggy Bandannas to clothes from a loved one who has passed on to ties, these all are items used to create loving memorabilia. Because each project is unique and individual please contact me for pricing. 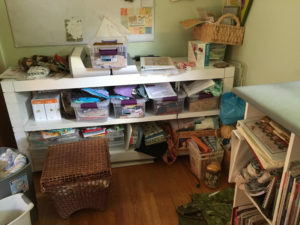 Do you need help finding your sewing tools? 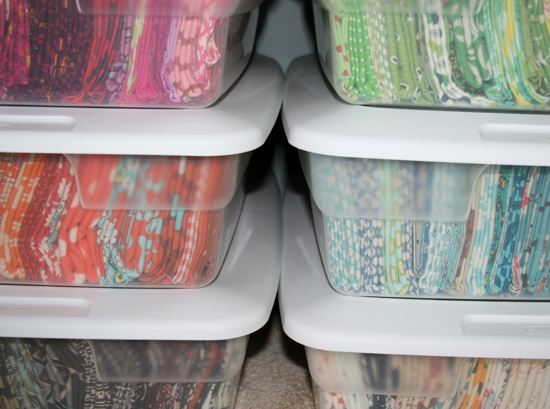 Have you purchased the same pattern twice just because you forgot you had it? 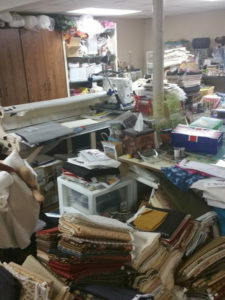 Do you find it is easier to shop for new fabrics because it’s just too difficult to search through piles and piles of fabric? 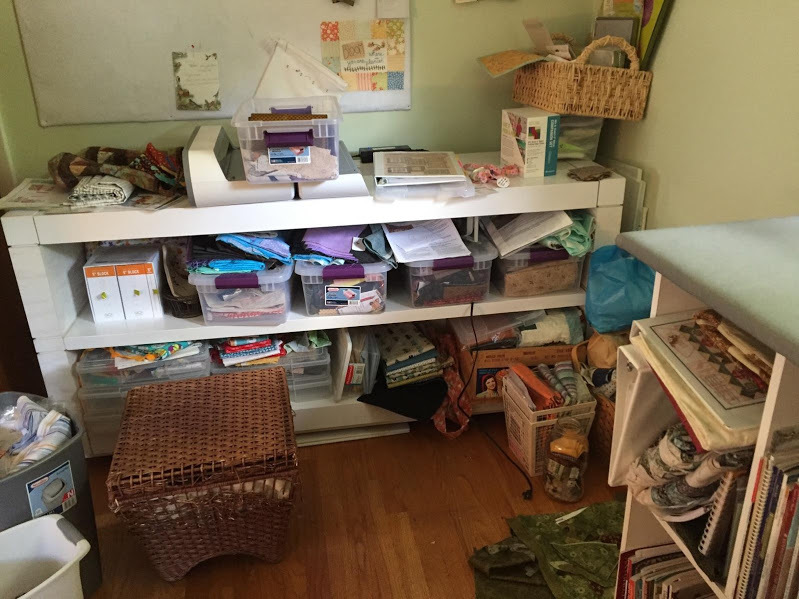 Do you have a “path” through your crafting room? Become more productive, save money, save time, & enjoy the creative process once again. While there is not a magic wand that will clear the clutter, a little bit of time and energy will help to move you closer to a more organized you. 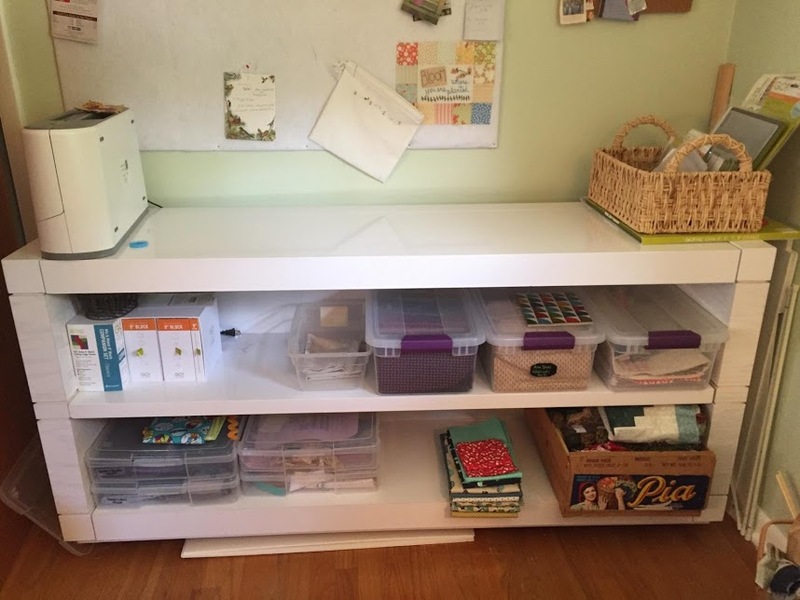 Learn about the organized persons methods, storage solutions, placement of tools, and keeping what you love. “Thank you so much! The quilt was spectacular. We all loved it! What a memory and such a nice keepsake. Not for nothing, but hers was the nicest one ;), everyone said so. “ C.R. “Now I see how quilting is magical! Little bits of material sewn together can result in a fabric scrapbook of life! 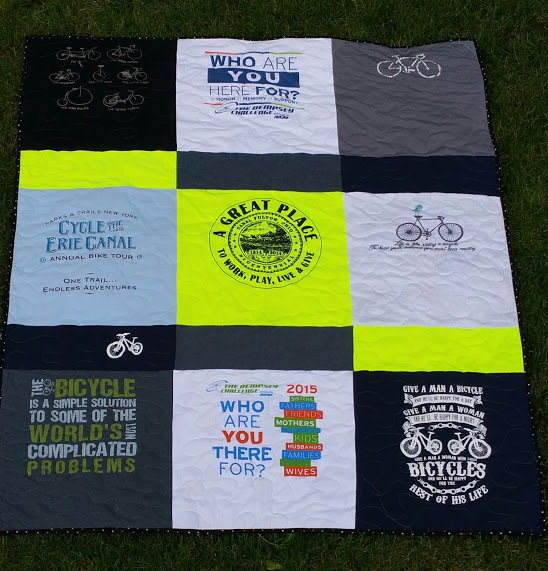 I know that’s how our kids will see the tshirt quilts you created for them. Thank you so much for your vision in designing the quilts. I appreciated your calm, patient guidance in planning the layouts as I had no idea where to begin. It was more complicated than I thought it would be, but you made it a smooth process to the glorious end. “ B.K.H. “As I promised I would want to share our kids reactions to the tshirt quilts which we gave them. They were both astounded to see their tshirts in quilts! Both were happy and excited. They thanks me multiple times. S. said he didn’t know we still had all of his shirts. L. said she had wanted such a quilt. She took a photo of hers then posted it on facebook where she got lots of positive comments. “ B.K.H.